Keep your Domoticz config safe by using a Domoticz backup script! 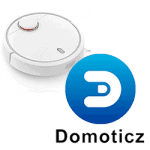 Home » Tutorials » Domoticz » Keep your Domoticz config safe by using a Domoticz backup script! 1 Backup before it’s too late! Backup before it’s too late! In the past I had a crashed and lost some data, and I had to pair all my devices again. That time I thought: It will happen never again! Use this backup script to secure your config, adjust it a little bit to your own needs, and be safe! Every night I make a complete backup of the most important stuff on my raspberry to a temporary folder. That temporary folder would be zipped and transferred to my NAS. Backups on my NAS share older than 31 days would be deleted. This way I have not only my database but also: styles, bash scripts, cronjobs and everything I need to build a new Domoticz config very fast. Edit the script. delete unused paths and configs and add the things you want to include. save the cronjob. 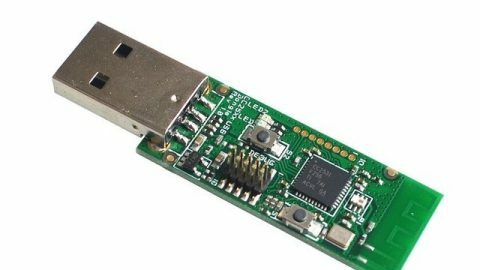 this would run the backup.sh script the first minute of every day. Watch output, go to your share and validate the content of the zip. An untested backup is no backup. I hope you have never had to use it, but when you needed to restore it’s very simple. Do a clean install with everything you used before, then place the file of the backup back to the raspberry, in the right folder path. reboot and you are up and running in no time. ### Script to backup up Domoticz database, lua, bash, python script, just in case something goes wrong. # Installing Dropbox_Uploader is very easy. ### Do not edit anything below this line unless your knowing what to do! MOUNTCOMMAND="sudo mount -t cifs -o username=$USERNAME,password=$PASSWORD $MOUNTPATH $DESTDIR"
echo "::: Make backup folder structure"
echo "::: Backing up Domoticz"
echo "::: Backing up files"
echo "--- Backing up .bash_profile"
echo "--- Zipping Domoticz backup files"
#echo compress with tar the database, scripts and files. echo "--- transferring backups to NAS drive "
echo "A copy of database, scripts and LUA are now on your NAS"
# echo "--- Uploading backup to Dropbox"
# echo "--- Please standby..."
# echo "--- Skipping uploading to Dropbox as it seems it ain't installed"
echo "::: Removing backups older then 30 days from NAS"
echo "--- Cleaning old backups packages"
echo "--- Backup location isn't mounted"
echo "--- Please mount your backup location"
Learn how to control your Xiaomi Robot vacuum with your voice using Controlicz Domoticz and google home/Alexa. 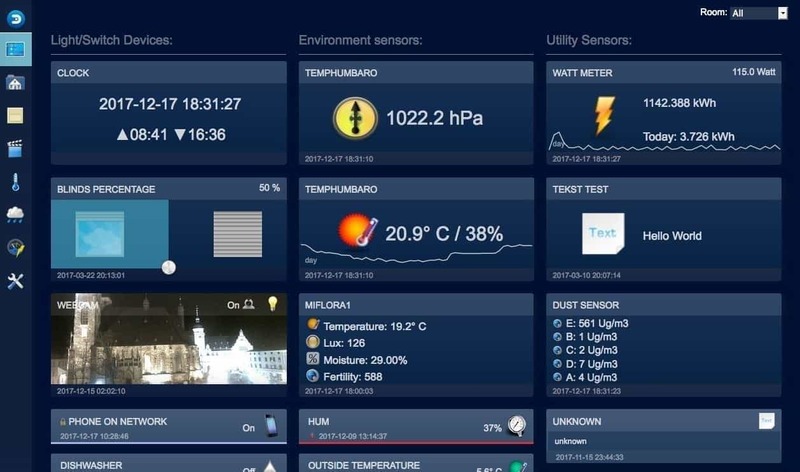 From now on its easier than ever to install new hardware in Domoticz, because Domoticz finally has his own Python Plugin manager for external components. It’s still work in progress and not included in the beta but easy to install.